Next on The Scoop: No One Takes Mittens’ Big Screen TV for the Judge Judy Marathon! So, you have a cat, or cats. And you have a small living space. This presents some challenges. 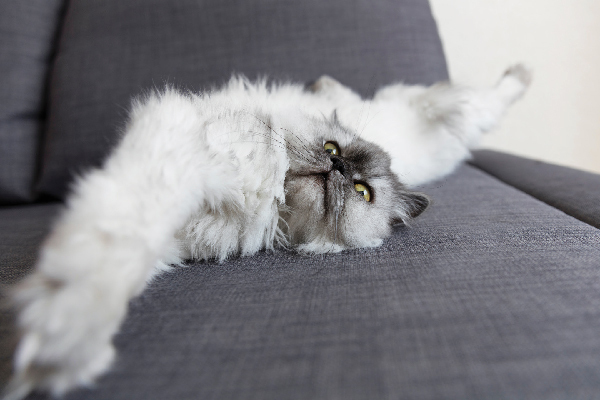 Where to hide those litter boxes? Sometimes, we have to think outside the box (pun intended) and this is one of those times. Everyone’s situation will differ. And some of this will depend on what you can handle mentally. 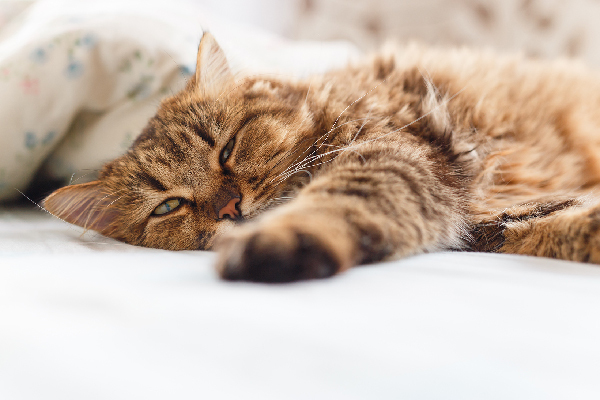 Can you handle knowing that a litter box is under the place where you sleep, for example? Some people would be bothered by this; some not. Here are some ideas to get you going, in your own small space. 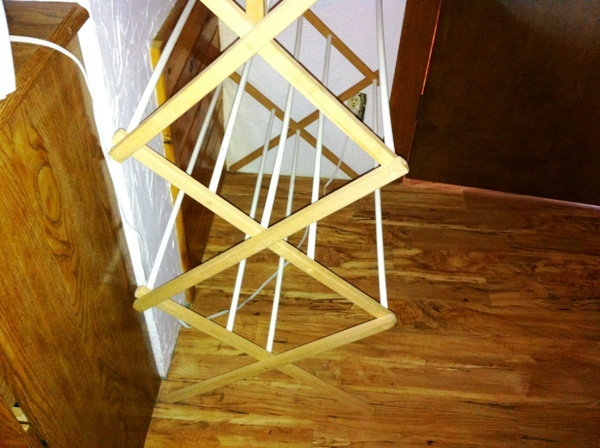 See what you can take from these and improvise to make them work in your living space. If you have stairs with enough space under them, this might be a great out-of-the-way place to hide a litter box. Cats love privacy when they go to the bathroom. This idea won’t work in my place; we only have one set of stairs and a box won’t fit under it. But I have noticed that the cats love to play under the stairs and spend time there. If it doesn’t creep you out to know that you’re sleeping over litter boxes, this might be a way to go. This personally might be more than I could handle. You also need a high enough bed so that the cat could get in and out comfortably and be able to stand up and do their business. I’d also worry about the bed collapsing and creating an unsafe situation. But it might work in some cases. Here’s an example of space that is normally wasted. It also seems like space where a litterbox could go easily unnoticed. If you do this, you’ll have to be okay with the fact that your laundry could possibly fall into the litterbox. Some cats also love to climb laundry racks — I speak from experience. This could be a little weird, but might be an option if you really are limited for on-the-ground space. If you have a nook or cranny that’s above ground, and easily accessible either by a cat who can jump, or can climb provided stairs, then this may be an option. If you can get around the mental obstacle that your cat may send litter flying when they leave the box, go for it. There’s something about this that I’m not sure I could do…but cats send litter flying wherever they are — ground or above. 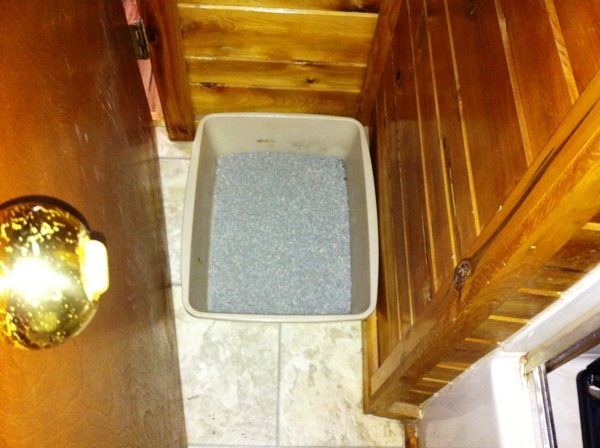 Litter boxes in the bathroom seem ideal — you do your business; your cat does hers. 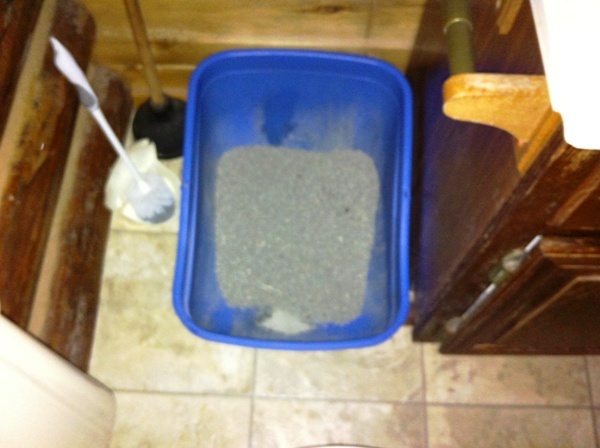 You may have a small spot which would be unusable otherwise — so use it for a litter box. The bonus is that the boxes are far from other places in the house where you might not want a litter box (or the thought of a litter box) to be. 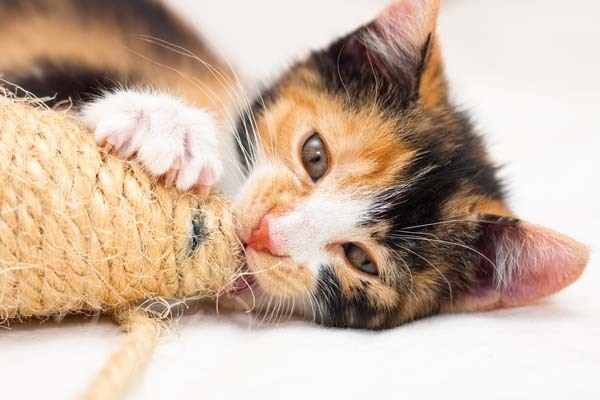 This can work, but be sure your cat can get in and out of the closet easily, so that they have access to the box and so that they don’t get trapped in the closet accidentally. Yes, this is an option. This will depend on you, your roomie (or partner or whatever) and friends that come to visit. Can you all handle the boxes being out in the open? If so, go with this option. Keep the boxes as far from normal traffic patterns as possible. This option provides your kitty with less privacy. 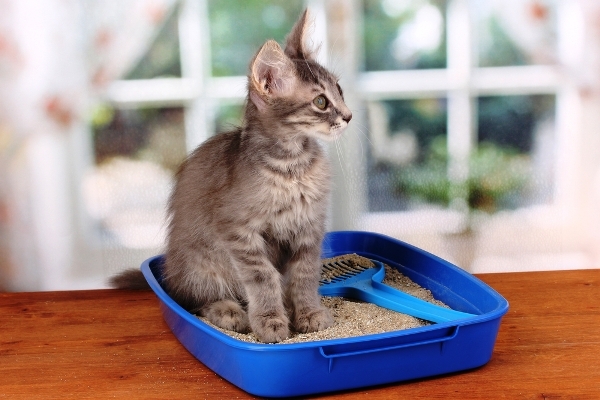 Wherever you end up putting those litter boxes, you’ll find (I think) that staying on top of cleaning them becomes even more important in a small space. I clean mine 1-2 times a day. It just makes it easier to bear, especially in a small living area. Everyone’s living space will be a bit different. If you have a small space, how have you gotten creative about hiding the litter boxes? Or have you bothered? Share your ideas in the comments! 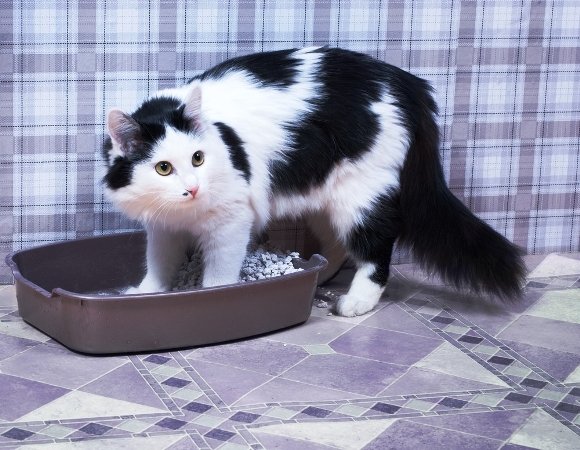 Does the Type of Litter Box Really Matter to Your Cat? About Catherine Holm: Told that she is funny but doesn’t know it, accused of being an unintentional con artist by her husband, quiet, with frequent unannounced bursts into dancing liveliness, Cat Holm loves writing about, working for, and living with cats. 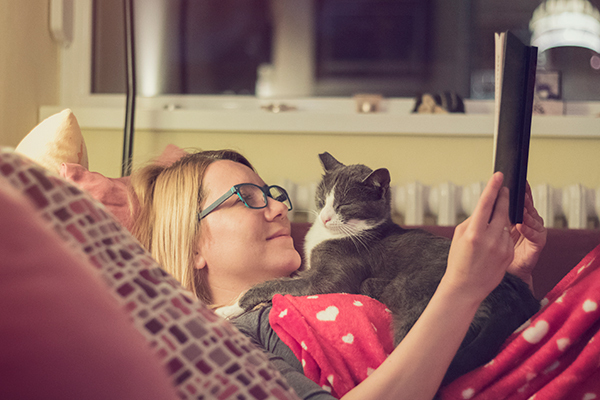 She is the author of the cat-themed memoir Driving with Cats: Ours for a Short Time,Ann Catanzaro cat fantasy story gift books, and the author of a short story collection about people and place. She loves to dance, be outside whenever possible, read, play with cats, make music, do and teach yoga, and write. Cat lives in the woods, which she loves as much as really dark chocolate, and gets regular inspiration shots along with her double espresso shots from the city.